I’ve got a monster reading list for you this month, and I’m still fighting that nagging feeling that there was way more good stuff out there than I managed to catch. If you’ve got the time, scroll through the entire list down there at the bottom, and catch Preet Banerjee’s conversation with Dan Hallett (especially around minute 40), Dan Bortolotti’s advice for people rebalancing a Couch Potato portfolio across multiple accounts, and Bob French’s game where you have to guess which chart of daily stock moves is Netflix and which is the a random old coin toss. You won’t be sorry. “Normal personal finance advice works. Beyond a good savings rate to give us some wiggle room the simple personal finance principles such as avoiding credit card debt, paying down our mortgage debt, living below our means, having a good credit score, etc. didn’t seem to matter until they really mattered. This stuff seems boring but it can be extremely helpful when you really need it. Read Ben’s entire piece here, especially if pictures of sweet, wee little babies are your thing (they so are). From Scott Terrio, who’s running one of the most informative Twitter accounts I follow right now, a good primer on the things we hear from our friend’s friend about bankruptcy and accept as truth. Knowing what your rights and options really are before you run into financial trouble might help you make better decisions in the teeth of it. Scott’s list includes myths like losing your house or job if you file for bankruptcy and what happens to outstanding taxes or your spouse’s credit score. Read Scott’s post in Maclean’s magazine here. From my friend John Robertson, on my other friend Chris Enn’s blog From Rags to Reasonable, an all-round top of the line post about how to get over the burning need to make the perfect choice from a list of mutual funds in a group RRSP or Defined Contribution Pension Plan and just do it already. Although John writes some specific advice to members of the Equity Group RRSP, everyone who’s even slightly nonplussed by the options available in their plan and letting that stop them from making any choice at all for fear of being wrong should read this. 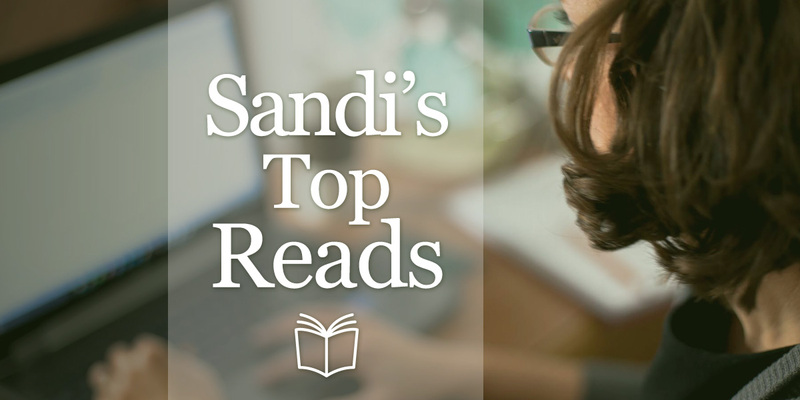 You can read all of June’s great reads below, and browse through past lists here. "But turning $1,000 in 1997 into $4,128 in 2017 was a brutal experience. That 313% return was paid for with many sleepless nights. The chart below shows the difference between the map and the terrain; all the white space between the red and the black line is where the unforced errors occur." "Odds are, many of them will turn out to be nothing more than patterns that appear to have worked in the past that have no predictive power for the future." Kees has several TFSA, RRSP and LIRA accounts where he manages ETF passive portfolios. What's the best way to rebalance them? "Remember that picking something and getting enrolled is far preferable to picking nothing while you try to research to identify the “optimal” fund (or mix of funds)." "I’m older and wiser now (I hope), and no longer impressed with who can fling the most spaghetti at the wall, from the most randomly selected sources, and then point to it, screaming like a chimpanzee." "Like most worthwhile pursuits, gradual change’s cost is additional patience. Your perceived progress will be slower than somebody who makes quick, drastic changes, but I believe your odds of actually improving, in a lasting way, are far better.".
" the simple personal finance principles such as avoiding credit card debt, paying down our mortgage debt, living below our means, having a good credit score, etc. didn’t seem to matter until they really mattered. This stuff seems boring but it can be extremely helpful when you really need it." When it comes to personal bankruptcy, Canadians have a lot of mistaken beliefs that need clearing up. "I got tons of advice when I moved into my first apartment. Some friend or family member gifted me with the tiny toolbox I called Baby’s First Toolbox. It was the size of a slim binder and probably cost them $20. And that $20 toolbox has saved me thousands of dollars over the last decade." "If we can’t tell the difference between someone flipping a coin at their desk and actual stock returns, then those stock returns must be pretty random. If it looks like a duck and quacks like a duck, it’s probably a duck. Paying attention to daily returns won’t do anything besides give you an ulcer. Since these daily returns are bouncing all over the place, you’re adding a lot of stress to your day that you just don’t need." "But the real issue with bad habits is while they scratch the itch, they don’t fix the underlying problem. Being worried about your bills might lead you to check Facebook, but that doesn’t make Mark Zuckerberg pay your mortgage."